Wreak some havoc with the Havoc Stonewashed Black Fixed Blade Knife! This fixed blade is one tough customer and you have the ultimate in tactical protection. 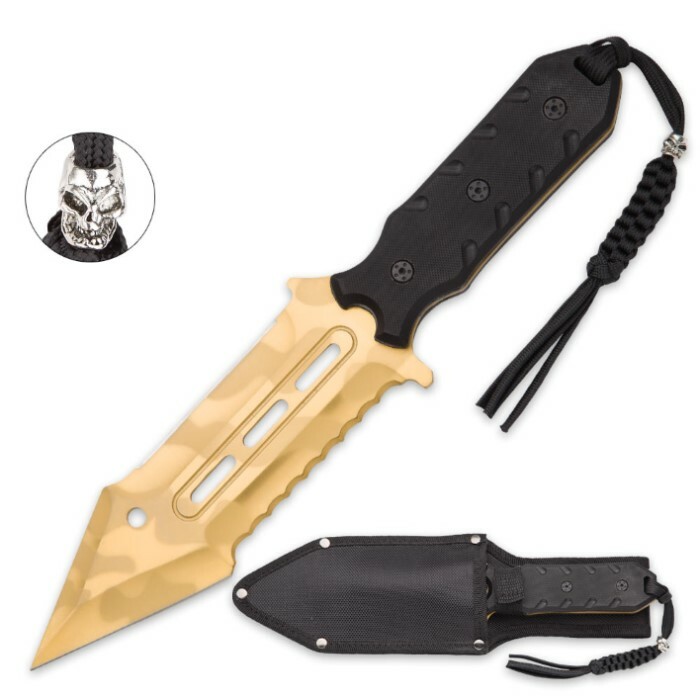 It has a full-tang, 7" 3Cr13 stainless steel gold blade with a tiger stripe pattern. It features a razor-sharp edge on one side and a serrated edge on the other, plus, a destructive piercing point. A hefty G10 textured handle gives you a secure grip and features a lanyard with a skull head. 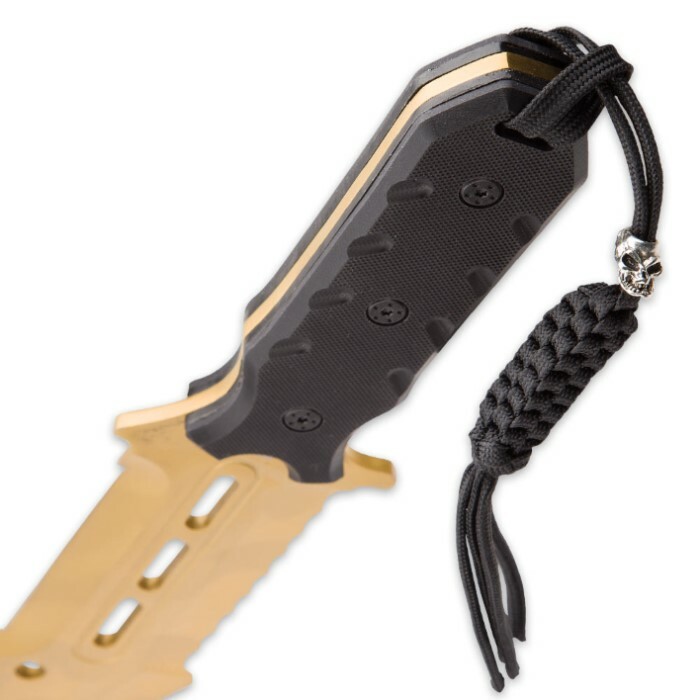 This "I mean business" fixed blade knife comes housed in a durable, 1680D heavy-duty nylon sheath. The knife is 12" in overall length.